From all of us at the Playhouse, have a Merry Christmas and a Happy New Year! Don't forget the Playhouse Gala on January 15th, 2011, at the Western Heritage Museum. See you in 2011! Happy Holidays, everyone! [NOTE: There has been a casting change due to an unforseen conflict; Nick Keele will now be playing the role of "Jerry". - Webmaster] The Community Players of Hobbs is entering Edward Albee's "The Zoo Story" in this years AACTFest in Artesia, NM. Nathan Miles is directing our entry in the competition, as well as coordinating and coaching those entering the new monologue competition. A great bunch of actors auditioned. I hope that those who were not cast come back and audition again! "Zoo Story" (our AACTFest 2011 entry), directed by Nathan Miles. Auditions are December 15th and 16th, 7:00 PM, at the Playhouse) Click here for full details, and remember that this audition includes tryouts for the AACTFest monologue competition. "Zoo Story" cast is two men. Monologues are open to anyone interested. "You're A Good Man, Charlie Brown" December 13th and 14th, 6:30 PM, at the Playhouse). Note that this is a date change from the original audition dates. Click here for details. "You're A Good Man, Charlie Brown" is a musical, so auditioners should prepare a song (we will either have a CD player or an accompanianist). The cast consists of 2 women and 4 men. "Christmas in Comfort" starts tonight! Don't forget the Playhouse event "Christmas in Comfort", preceded by a concert with "Accidental Harmony", starts tonight at 7:30 PM. "Christmas in Comfort" is presented by Summer Robinson's drama students from Hobbs High. "Accidental Harmony" is a local a capella group consisting of Leslie Blake, Briana Schneider, Ronnie Gray, Juston Harlin, Sandy Goad, and Erin Anderson. Shows are also December 10th and 11th, both at 7:30 PM. IMPORTANT: Audition date change for "You're A Good Man, Charlie Brown"
Brown" have slightly changed due to a conflict. TRIVIA QUESTION: What important event happened on Dec. 12? More auditions: "Zoo Story" auditions will be Wed. Dec. 15 and Thur. Dec. 16. at 7 p.m. at the Playhouse. introduction to theater production and it will be the second act. Saturday, Dec. 11 from 6:30-8 p.m.
You're a Good Man Doug Lyle. Happy 30th Anniversary, Mary and Doug Lyle!! Ho ho ho...Merry Christmas, everyone! Don't forget the Christmas show, December 9th, 10th, and 11th! The two act production starts off with a Christmas concert by "Accidental Harmony", followed by the play "Christmas in Comfort" (presented by the Hobbs High School Theater Department). Tickets are $8. Call 575-393-0676 for reservations. More auditions, and a lot of Christmas going on! Yes we have more auditions coming up so mark those calendars! ZOO STORY AUDITIONS: This Edward Albee drama is for two men and will be directed by Nathan Miles. This drama piece will be taken to the one-act state competition festival in Artesia. Also, he will be taking others for a monologue competition, which is new this year. Festival is a great time and a chance to meet and see other theaters' work from around the state. Auditions are Wed. Dec. 15 and Thur. Dec. 16. at 7 p.m. at the Playhouse. The festival in Artesia is March 10-13 (although there is only one performance). GOOD MAN CHARLIE AUDITIONS: Auditions for "You're a Good Man Charlie Brown" are Sunday, Dec. 12,and Monday, Dec. 13. The show is directed by Mary Lyle and Ronnie Gray is the musical director. Auditioners should prepare a song (we will either have a CD player or an accompanianist). The cast consists of 2 women and 4 men. The productions dates are Feb. 11, 12, 13 & 18, 19. Rehearsals will begin on Monday, January 3. ACCIDENTAL HARMONY AND CHRISTMAS in COMFORT will be Dec. 9, 10, 11 at the Playhouse. Call 393-0676 for reservations. Accidental Harmony is an acappella group comprised of Playhouse members and will be singing for the opening act. "Christmas in Comfort" is the Hobbs High School students introduction to theater production and it will be the second act. Tickets are $8. CHRISTMAS TRADITIONS AROUND THE WORLD is Dec. 2 from 7-9 p.m. at the Western Heritage Museum. Lots of Playhouse folks involved in this event. Plus there is food and possibly a sighting of Santa. LEA COUNTY COMMISSION FOR THE ARTS, 122 W. Broadway, has an open house Saturday, Dec. 4, from 10 a.m.-4 p.m. and an adult sing-along Saturday, Dec. 11 from 6:30-8 p.m.
Maciolek School of Dance's "Nutcracker" is Dec. 3, 4 and 5. at Tydings Auditorium. Finally, don't forget Carl Busch Scholarship forms are due Dec. 31. December will be a busy month for auditions...mark your calendar for auditions for "Zoo Story", our entry in the New Mexico AACTFest. "Zoo Story" is a one act show with a cast of two men. Auditions will be held on December 15th and 16th at 7 PM at the Playhouse. The auditions for "Zoo Story" will be cold readings from the script. The auditions will also include tryouts for the monologue competition. Click here for a selection of monologues. If you have a monologue you would like to perform outside of this selection, be prepared with it at audition. In all cases, please have your monologue memorized at the time of the audition, and be prepared to rehearse with the "Zoo Story" schedule to prepare for the competition. 3. The author of the show. Again, the auditions for both "Zoo Story" and the monologues will be December 15th and 16th at 7 PM at the Playhouse. CHRISTMAS SHOW: "Accidental Harmony" (comprised of Playhouse veterans) will be singing for Act One and the Hobbs High School Intro Theater class will be Act Two with its one act production of "Christmas in Comfort." There also may be a few other performers thrown in. Accidental Harmony showcases the singing of Ronnie Gray, Erin Anderson, Sandy Goad, Leslie Blake, Juston Harlin and Briana Schneider. Christmas in Comfort, directed by Summer Robinson, is a heartwarming one act introducing students new to theater all the joy of theater as they present their first production. The play: "Mona Malone, famous for her role as the “scream queen” in Hollywood horror flicks, must do 200 hours of community service. A judge is persuaded by Mona’s attorney to let her spend them directing the annual Christmas play in his tiny hometown of Comfort. When Mona and her pre-conceived ideas about small towns meet the wacky residents of Comfort and their pre-conceived ideas, sparks fly. The residents know exactly how they want to do the play — after all, they’ve been doing it exactly the same way for 20 years! But Mona wants big changes. As the work progresses, however, it’s the town that changes Mona. She begins to make peace with her life, her goals and the faith she had left behind. Along the way, Mona’s assistant finds her voice and the local drama teacher remembers her own lesson of what theater can give to the actors and the audience — even in a small town far from Broadway. Laughter and the traditional music of Christmas fill the stage with warmth as the people of Comfort help Mona learn a big lesson about fame and faith." Show dates are Dec. 9, 10, 11 at 7:30 p.m. Call 393-0676 for reservations. "YOU'RE A GOOD MAN CHARLIE BROWN" AUDITIONS: Auditions for the comedy musical are Dec. 12 & 13 (Sunday and Monday) at 6:30 pm at the Playhouse. Auditioners should prepare a song (we will either have a CD player or an accompanianist). The cast consists of 2 women and 4 men. The productions dates are Feb. 11, 12, 13 & 18, 19. Director - Mary Lyle, Musical Director - Ronnie Gray. Rehearsals will begin on Monday, January 3. MORE AUDITIONS: Watch for audition information soon about the NM AACTFest production entry being directed for the Playhouse by Nathan Miles. The show will be Edward Albee's drama, "Zoo Story" (cast is for 2 men). Nathan will also need crew people and wants to take several others to participate in the monologue competition. AACTFest is in March in Artesia and the Theater New Mexico conference. Other theaters from across the state will be bringing shows, which are then judged. The winning entry then gets to go to regionals. MARK YOUR CALENDARS: The annual Playhouse Gala is Jan. 15. This is casual evening to gather, mingle, give out some recognition awards, including the Tom Mason Award as well as Carl Busch Scholarships, and also to vote on a board and any by-law changes. By attending any show, participating in any show and by attending the Gala, you are considered a voting theater member. Please mark your calendars to attend this at the Western Heritage Museum. Your vote and your voice is needed. Community theater needs everyone to participate and you are needed. CORRECTION: For "Beauty and the Beast" I left off a couple of dates. The show will be produced eight times (Thur, Fri., Sat. and Sun for two weeks). Correct show dates are June 2, 3, 4, 5 (matinee) 9, 10, 11, 12 (matinee). Sorry about that. The 2011 schedule is here! This is a well known comedy musical based on the comic strip Peanuts. The characters are played by adults and, like the comic strip, makes subtle and humorous comments on life for adults but still appeals to children. Cast is two women and four men. This comedy is set in a spa converted from a former church. The women running the spa talk about life and men (of course). By the end, you've laughed and want to shout "Hallelujah". Cast consists of six women and two men. Disney's musical will be familiar to all ages. A heavy costume and singing show, "Beauty and the Beast" is popular wherever it is produced and will remind the audience what they love about the movie and story. Large cast. The Summer Youth Theater Camp is an all youth production. The musical follows the same story line familiar to audiences from the movie, with Oompa Loompas, etc. A murder mystery thriller based on Sherlock Holmes, the play is a proven audience favorite as they try to determine this "whodunit". Cast is six men and three women. • NM AACTFEST: Nathan Miles is proposing to direct "Zoo Story" by Edward Albee, a well known one act drama exploring themes of isolation and loneliness in a commercial world. He also wants to take several people to participate the Monologue competition. AACTFEST is taking place in Artesia in March and is a fun festival where you can see multiple one act productions, learn a few things and interact with various theaters from around the state. Plus, winning shows advance to regional competition in Lewisville, Texas in April. Jan. 6-7 Jefferson Elementary "Tales from Olympus"
Jan. 20-21 Taylor Elementary "12 Labors of Hercules"
Feb. 10-11 Southern Heights Elementary "American Patriots"
April 28-29 Coronado Elementary "American Poets and Patriots"
Directors and casts will need to plan according to accommodate these productions. As in past seasons, the board may ask directors to have an assistant directors. Let me add how grateful I am that so many of you submitted and everyone was gracious about the decisions. For example, Bill Raabe agreed to delay his play selection until 2012 so I look forward to advocating for him to direct in 2012 since he agreed to help make room in this coming season. Thanks Bill! Also, this is a fairly aggressive season at times and will once again require lots of volunteers. As always, if you see a place or time you would like to volunteer, please speak up. We are not always good about spotting those who wish to help. We love and appreciate those who ask and put themselves forward to volunteer. Find us on Facebook and MySpace. The Community Players of Hobbs is seeking applicants for its 2011 Carl Busch Scholarship. An application can be found at www.communityplayersofhobbs.com. Applications are due Dec. 31 and can be submitted to myself or Mary Lyle. Anyone attending college is eligible to apply. Selected applicants are asked to participate in some form or fashion at the Playhouse. High School seniors graduating in the spring are eligible to apply. Awards amount vary based on the amount of funding and selected applicants. Selected applicants will be announced at the annual Playhouse Gala on Jan. 15. Yes, it's that time of year...now that you've made short work of that Thanksgiving turkey, sharpen your pencils and get to filling out these scholarship applications! The Carl Busch Scholarship is awarded annually to deserving college students. If awarded the scholarship, students will be required to help with one play at the Hobbs Community Playhouse (20 hours minimum) in 2011. The 2010 recipients were Abhishek Chettry, Manish Paudel, and Ghanashyam Pokhrel. The deadline for filing applications is December 31st, 2010. Please forward applications to President Daniel Russell or Vice-President Mary Lyle. The application can be downloaded by clicking here (for PDF format) or here (for DOC format), or using the links in the sidebar to the right. Is it almost December already? Where has the time gone? December 1st is only 10 days away, and I bet you don't know what that means...well, it means if you want to toss your name (and a show) into the hat for the AACTFest in March 2011, you have very little time to do so! Email (or otherwise contact) Daniel Russell with your submission (click here for details, also includes a link to the submissions package with further information). AAB: The Artistic Advisory Board, which means anyone involved with the theater, will meet at 2 p.m. Sunday, Nov. 14, at the Hobbs Community Playhouse to discuss the 2011 season. Everyone is invited to attend and give their input on next year's season. The AAB's recommendation will go to the Board of Directors, which has final approval. BOARD OF Directors: The BOD will meet at 6 p.m. Monday, Nov. 15. On tap is discussion of the 2011 season discussion and possible approval. CHRISTMAS production: We're still working out details but this slated to be Dec. 9-11. Watch for more details to come but it involves Mrs. Robinson's theater class and singing from Playhouse folks. MAROONED ON PIRATE ISLE: The haunted Halloween house went over well and involved many, many volunteers. Kudos to director Juston Harlin and assistant director Erin Anderson for help making this happen. We had 804 people come through the Playhouse over a three night period. There is lots of talk about how to do it bigger and better next year. UPCOMING STUFF: "Guys and Dolls" at HHS Tydings Auditorium, 7:30 p.m. Nov. 19-20 and matinee performance at 2:30 p.m. Nov. 21. Tickets are $10 in advance and $12 at the door. "Christmas Around the World" is Thursday, Dec. 2, at Western Heritage Museum. 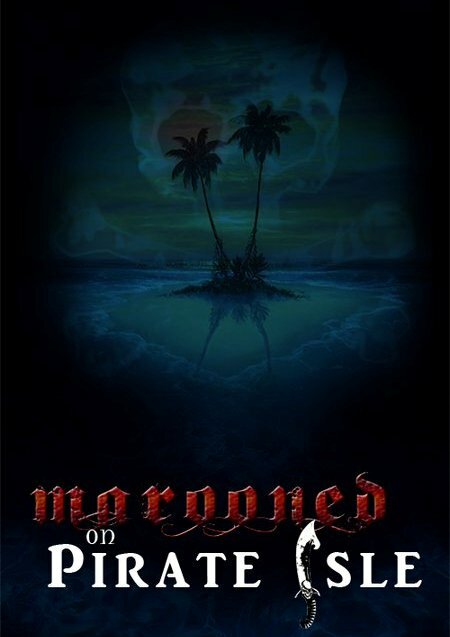 Also, folks, if you haven't noticed there are photos up (see slideshows to the left) of "Marooned on Pirate Isle". Additionally, the Playhouse hosted Broadmoor's "Dancing Around The World" program, a program to teach fifth-graders about other cultures. A slideshow of selected images from "Dancing Around The World" is available to the left, as well. Attached [Link in right sidebar, or click here - Webmaster] is Theater New Mexico AACTFest registrations/competition information. It takes place in Artesia on March 10-13, 2011 (so it is mucho close by). Entered shows are judged and have a chance to advance to Regionals. In the past, Hobbs has entered this and done fairly well, advancing several times to Regionals. There are also workshops and monologue competitions, etc. Please read over the PDF and if you are interested, please let me know as soon as possible. Some have asked me how scary it will be and for what age group. There are scary parts (darkness, weird sounds, yucky parts and enclosed hallways, etc.) Actors will be able to control some of how much scariness is there so let the ticket sellers know your age group but that toning down may be minimal. Use your best judgement but my guess is not for the very young. 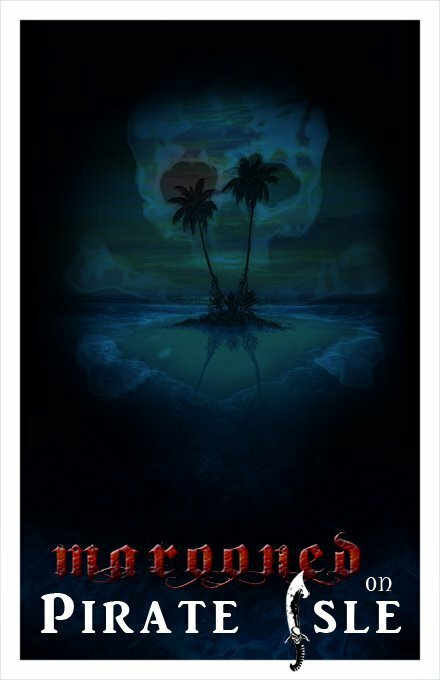 This is closer to Pirates of Caribbean with haunted, yucky, spooky stuff. Near total darkness at times and lots of fog, creepy lighting, etc. Contact Juston at 619-549-1188 (text or call) or email him at juston_harlin@hotmail.com. He really needs to hear from you today or Tuesday to confirm your participation. He needs to "cast" certain parts, etc., and can't do this until he knows that ya wanna be a part of the plunderin'. Arrr!! Thar be treasure fer the takin', but beware!! Come down to the Playhouse this Thursday, Friday, and Saturday (October 28th, 29th, and 30th, beginning at 6 PM) and set sail on the "Queen of the Caribbean" for a relaxing luxury cruise. 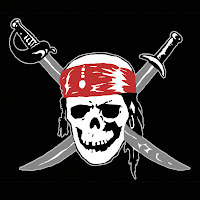 Beware, ye landlubbers...I be warnin' ye now, the seas be not safe from th' dreadful curse of pirates!! Arrrr! Arrrrr, we be still working on ye old haunted house adventure if any of ye scurvy dogs wishes to join. Here be a note from Captain Juston Harlin along with this weeks fine schedule. Some of you may already know but long-time Playhouse supporter Larry Hanna passed away this morning. Larry had served on the Playhouse board in years past as well as served as theater's attorney for many, many years. His quiet and many unseen contributions to the Playhouse will be greatly missed. In addition he acted in several productions, Playhouse, USW, etc. He was great patron and supporter of the arts in Lea County. Do you like to build stuff? Paint stuff? Create a story through visual and audio effects? Are you a creative person? If you answered "yes" to any of these questions then we need your help!! Juston Harlin is putting together a haunted house/maze/adventure at the Playhouse. He has a very neat story line and vision for the event but there is a lot to do and not much time to do it in. I need lots of help this week or we will fall behind! This thing is only a couple of weeks away!!! A lot of the walls are up and the maze is beginning to take shape! Now I need people to begin to take ownership of each of the areas and begin to make them into something special! Erin Anderson has graciously taken over coordinating props. But I still need someone to take over running and creating the Pirate Store and someone to take over coordinating the costumes! If you own any fun Halloween props or special FX that you think would fit the pirate theme please speak to Erin. If you're interested in helping just stop by the Playhouse during one of the aforementioned times or contact Juston. If you want to know more about the story you'll have to stop by to help because I'm not going to spoil all of the awesomeness here. That's right, awesomeness. Dates for the haunted house are October 28, 29, and 30 from 6-10pm. We are also going to need a bunch of people to "act" in the haunted house so if you are interested in that please let Juston know as well and we'll assign you to a part. It promises to be a fun adventure for all involved. Sixty four years ago, the year 1946...just a year after the end of World War II. The world was a much different place than it is now...the Internet was 23 years away, television was still relatively uncommon (and only black-and-white), the cellular phone was decades in the future. Harry Truman was President, the first theme park opens in the United States (Holiday World, originally called Santa Claus Land). The Dow Jones Industrial Average closed the year at 177.20. "Annie Get Your Gun" opens on Broadway. Records on vinyl appear for the first time. Timex watches are introduced. The average price for a new car was $1,400, gasoline was $0.21/gallon, bread was $0.10 a loaf, and the average annual salary for the United States was $3,150/year, with minimum wage at $0.40/hour. This world is the world in which the story of the Keller family begins. A happy, prosperous family from Ohio, they nonetheless have had their lives changed by the war like so many Americans. But as the nation slowly recovers, so too do the Kellers, and on a sunny August morning we join them for a day in their life. What does life have in store for the Kellers, Deevers, Lubeys, and Bayliss'? Join us on September 3rd at 8 PM and see! Arthur Miller's "All My Sons" opens on Friday, September 3rd at 8 PM, with additional shows on September 4th, 10th, and 11th at 8 PM, and a special matinee show on Sunday, September 5th at 2 PM. Directed by Nathan Miles, "All My Sons" stars Robert Schumacher, Karen Widman, Evan Witkowski, Jenna Arther, Jesse Miller, Brad Jett, Sandy Goad, Sheldon Gray, Erin Miller-Gibbs, and Toby Kirk. Call 575-393-0676 for reservations, or email us using the link on the right. SHOW OPENS: "All My Sons", directed by Nathan Miles, opens this Friday at 8 p.m. Shows are also this Saturday at 8 p.m. and Sunday at 2 p.m. Then, the following weekend, shows are Friday at 8 p.m. and Saturday at 8 p.m. The show's cast is as follows: Joe Keller-Robert Schumacher; Chris Keller-Evan Witkowski; Ann Deever-Jenna Arther; Kate Keller-Karen Widman; George Deever-Jesse Miller; Frank Lubey-Sheldon Gray; Lydia Lubey-Erin Gibbs; Jim Bayliss-Brad Jett; Sue Bayliss-Sandy Goad; and Bert-Toby Kirk. Leigh Melton is the Assistant Director. The drama is a Tony award winner for Best Authored Play, by none other than Arthur Miller himself. To borrow from Wikipedia, the show's major theme is the "belief that people have a wider responsibility to the society in which they live, and this is something that Chris, Joe's son, is aware of and believes in." Please make plans to attend this show and support the hard work the cast has put in. This is the final show of the official 2010 season. (Also, if you would like to volunteer to work the front of house — ticket and refreshment selling, seat assisting, etc. — and get to see the show for free, please contact me). DIRECTORS WANTED: It is time to start determining next season's shows so we're calling on potential directors to submit their proposals. The DEADLINE to submit a proposal is Sept. 10. You can turn in proposals to myself or Mary Lyle. Proposals forms can be found at our website, www.communityplayersofhobbs.com. [See links on the right, DOC and PDF formats. - Webmaster] Please use the form and please consider giving two play options (as opposed to just one). The better your written proposal and plan — is the easier it is for others to understand why you want to do certain shows, etc. and so we can fill out a season. Would there be interest in a half day or two half days workshop, like on a Saturday, on directing? The goal is to give directors, rookies and experienced ones, "tools for a toolbox" that directors use universally when they think about creating and blocking shows (actors' blocking, movement and general staging, staging set pieces, levels, etc) ... having more easy to understand lists and basic directing techniques to improve any show's productions. I envision it as a Directing 101 class crammed into a few hours. I would leaning toward bringing in someone from the outside to teach this workshop. BORED: Are you bored with receiving these emails? Reading them online? LIGHTING ALERT! The board of directors approved by a telephone vote to purchase two LED Chauvet color strip lights. This allows the stage to have a color wash in just about any color imaginable (the LED lights give off red, blue, green and just about any other color in between including white). This 1) greatly enhances the options for directors in creating mood lighting and 2) uses a lot less electricity than our traditional theater lighting. Directors can see Justin Harlin or myself about the options on using these. Thanks to the board for approving this purchase. STATE COMPETITION: The Theater New Mexico AACTFest is March 11-13 at Ocotillo Performing Arts Center in Artesia. This competition is for one-acts (or full lengths cut to one act). Several Playhouse productions in the last two decades won the state bi-annual competition and went on to compete in regionals. If you are interested in doing a show, reviving a show, etc. let me know as soon as possible. EMAIL: It has been a while since I begged for this, but I need to make sure we are hitting everyone with this email that wants to receive it. Please, if you know someone who is not receiving it, let me know. Keeping people informed, both theater volunteers and theater going enthusiasts, are the audiences for this email. Also, FYI, don't forget we have a web page, a Facebook page, and a Myspace page. [Don't forget...follow us on Twitter, too! - Webmaster] If you have friends on Facebook, let them know about our page. Grow theater through letting everyone being informed. We also run an arts page with a calendar every Thursday in the News-Sun (cue shameless plug music) and post show info on hobbsevents.org. CONGRATS: Congratulations to the board of directors at the Lea County Commission for the Arts for the grand reopening of its building on Broadway on Saturday. The board is headed by Playhouse and theater veteran, Glynese Floyd. POSTERS: We are wanting to create a master list of businesses willing to allow Playhouse posters to be hung at their place of business. Right now, it is really hit and miss from show to show. We would like to create a master list to speed the process of distributing posters, collecting posters after a show and knowing how many need to be printed. Email myself or board member Ronnie Gray. Helpful info includes the business entity, perhaps the contact person at the entity and perhaps any rule or requests they have about putting up posters. While our official season may be coming to an end, that doesn't mean activity at the Playhouse will be. Watch for future emails about events happening at the Playhouse for the rest of the year. What was the world like in 1946? Truman was in the White House, WWII was still a very fresh memory, the Korean War was still four years away. The world had been through turmoil and depression, but lives were slowly getting back to normal. "All My Sons" finds us in August of 1946, in the back yard of the Keller family. A comfortable family, they nonetheless are recovering from the war as all Americans were in those years. Joining them are neighbors Sue and Jim Bayliss, Frank and Lydia Lubey, and family friends Ann Deever and George Deever. "All My Sons" was written by Arthur Miller, and was awarded the 1946 Tony Award for Best Authored Play. Directed by Nathan Miles, with Assistant Director Leigh Melton and Stage Manager Briana Schneider, "All My Sons" features Robert Schumacher, Karen Widman, Evan Witkowski, Jenna Arther, Jesse Miller, Sheldon Gray, Erin Gibbs, Brad Jett, Sandy Goad, and Toby Kirk. "All My Sons" opens at 8 PM on September 3rd, 2010 at the Playhouse, 1700 North Grimes in Hobbs. Following performances are September 4th, 10th, and 11th (all at 8PM), and a matinee showing on September 5th (at 2 PM). Yes, it's that time again...how the year has flown! 2011 SEASON: It is time to start determining next season's shows so we're calling on potential directors to submit their proposals. The deadline to submit a proposal is September 10, 2010. You can turn in proposals to myself or Mary Lyle. Proposals forms can be found at our Website, www.communityplayersofhobbs.com. Please use the form and please consider giving two play options (as opposed to just one). The better your written proposal and plan — is the easier it is for others to understand why you want to do certain shows, etc. Several people will be reading the submissions and then recommendations will be given to the board for final approval for a slate of shows. 3) Appropriate availability of talent and skill level for the production. 5) Balance and scheduling of a variety season to meet all the above. As always, these are only a few criteria but not the only criteria and the board reserves the right to adjust accordingly. Setting a season is a judgement that many people have a voice in and requires difficult choices. Experienced directors picked to direct a show may be requested to mentor a rookie assistant director who is seeking to one day take on the directing position. Those of you have never directed before are welcome to submit ideas and proposals but criteria like prior theater experience, mentoring under an experienced director and/or high school/college level theater training will be taken into considerations as prerequisites to being the lead director of a show. Anyone is welcome to simply suggest a show they would like to see done at the Playhouse, even if they are not going to direct it. DIRECTORS WORKSHOP: Would there be interest in a half day or two half days workshop on directing? The goal is to give directors, rookies and experienced ones, "tools for a toolbox" that directors use universally when they think about creating and blocking shows (actors blocking, movement and general staging, staging set pieces, levels, etc) ... having more easy to understand lists and basic directing techniques to improve any show's productions. I envision it as a Directing 101 class crammed into a few hours. Something to think about. Let me know. Need to know if this appeals to wanna-be directors, old hand educated directors who would be willing to have a refresher course, and/or those of us who have been around forever but lack formal director training. I really, really need to hear back if people are interested. BOARD CHANGE: It is with sadness I must tell you that Tony Bostick has stepped down from the board after two and a half years. Tony is a great asset to community theater and as one in charge of building and grounds, he often did things that received little public credit and required behind the scenes work. If you see him, please let him know we are grateful for his work. (For example, next time you park in the back lot or appreciate the theater stage is kept clear of clutter, you can thank Tony for having a big hand in that). His input and work on the board will be missed. Jay Patton will has agreed to serve in the building and maintenance board member slot. Thank you to Jay for agreeing to serve. SEUSSICAL: For those you don't know, Seussical was a great success. The four youth theater camp shows were sold out (and sold out by Thursday night!). We had approximately 32 youth involved. Many of those who saw the show were impressed with the production value and thoroughly entertained. Many parents and kids said they would be back next year and want to bring a friend or relative or two to participate. Thank to our lead directors, Sandy Goad and Ronnie Gray, and the many others who assisted as wells as our grant giver and corporate sponsors to help make this camp happen. CLEAN: Remember it take a village to raise a child. It also takes a village to keep the theater clean. Please do your part. If you see a mess or trash, help clean it up. Everyone volunteers so it takes someone to volunteer to help clean up. Leave things better than you found them. Raise the bar for the next folks who come through! And thank you to those who do see the needs and then clean it! AUDITIONS for "All My Sons" directed by Nathan Miles are tentatively set for July 14 and 15 at 7 p.m. at the Western Heritage Museum. Auditions for this Arthur Miller, Tony award winning drama will consist of readings both nights. SEUSSICAL, the youth summer theater camp is going well. Directors Ronnie Gray and Sandy Goad report around 32 campers have signed up and are already rehearsing the musical. Special thanks go those adults who are volunteering their time on this to make it happen. Show dates are July 22, 23, 24 and 25. SPECIAL THANKS goes to Karen Widman who spent a portion of a morning scrubbing paint out of carpeting. It takes a village to keep the Playhouse clean and it is always heartwarming when people see a need and take care of it! POLICY ALERT... please remember paint cleaning takes place in the spare bathroom off of the makeup room. SECOND SPECIAL THANKS goes to Jay Patton for helping getting the cooling going during I LOVE YOU, YOU'RE PERFECT, NOW CHANGE. We had a unit go down but Jay was on top of it. Thanks Jay. PAINTING has been completed on the inside of the theater. Next time you step in there you'll notice the dark brown on the back side of theater now extends all the way down from the ceiling to the walk-around. Thanks to the GEO Group (a corporate sponsor) inmates for helping to make this happen. • Tools: If you an extra hammer, screwdrivers, etc. just sitting around your shop or workbench and you know you'll never use it, consider donating it to the Playhouse. • Improving the outside entrance, signage and landscaping. • Insulating the costume room/oven/freezer room. We will have a board of directors meeting in late July. Have any other thoughts, suggestions, ideas on ways to improve, let me know. Your ideas, time and volunteering are important to helping community theater happen. Finally, potential directors it is not too early to start thinking about next season. Yes, I said next season. It is now almost July and half of the year is already flown by. Oh my! You may have noticed the new layout...and you may also have noticed the slidshows of last season's shows have disappeared. This was done to improve site load time. Never fear, the photos are still available at http://picasaweb.google.com/communityplayersofhobbs. All show photos back to 2009's "Company of Wayward Saints", as well as a small selection of 2008 show photos, are available. What are people saying about "I Love You, You're Perfect, Now Change"? "Awesome theatrical performances. Thank you to the directors, actors, and crew for a wonderful evening of laughs and truths." "Hi! Thanks for the update. I really enjoyed the recent production. I haven't laughed so hard since I last saw 'Noises Off' several years ago directed by Glynese." "Had a freaking ball at "I Love You, You're Perfect, Now Change" tonight. It's hilarious!" "Let me just say "I Love You, You're Perfect, Now Change" is a F-A-B-U-L-O-U-S show!!!! Perfect cast and directors! a MUST see this season!! Everyone can relate to this show..."
"I cannot begin to tell you how awesome "I Love You, You're Perfect, Now Change" is. I just got back from seeing that at the playhouse and it is an absolute MUST SEE. The cast was amazing and the set was awesome. I walked into my house, saw my husband and told him "I don't care what you say, WE are going to go see th...is next weekend, you will love it". HILARIOUS!!!" So, if you miss it, you are truly missing out! Call 575-393-0676 for reservations or email them in (but quick, today is the last show!). Three more time to say..."I Love You, You're Perfect, Now Change"
Don't let this incredibly funny show pass you by. "I Love You, You're Perfect, Now Change" features Erin Anderson, Jay Patton, Josh Berner, Ronnie Gray, Sandy Goad, and Summer Robinson, and is directed by Juston and Larry Harlin. And...there are only three more shows left. That's right...three more chances to see what all the talk is really about! Shows are Friday, June 11th and Saturday, June 12th (8 PM), and Sunday, June 13th (2 PM). Seats can be reserved by calling 575-393-0676 or sending us an email (for either method, please leave a name and phone number for confirmation purposes). First, I LOVE YOU, YOU'RE PERFECT, NOW CHANGE opens Friday at 8 p.m. and continues Saturday at 8 p.m and Sunday at 2 p.m. It then runs again next weekend, June 11, 12, 13. This is a musical comedy that was hit on Broadway and at many, many regional, college and community theaters. The show is about love, dating and marriage. The six actors portray different characters throughout the show. It is funny, funny, funny. If you have ever dated, been married, been part of a family or been in love, you will find something familiar and delightful about this show. Second, this is for the male actors. My college professor from Wayland Baptist University called me this weekend. Every summer, the WBU theater program performs a show at Spencer Theater in Ruidoso. This year they are performing "Elephant Man" on June 18. My professor, Dr. Marti Runnels is looking for a male actor to portray several parts in "Elephant Man" (he had a male actor drop at the last moment). Rehearsals involve up to nine days in Plainview, Texas, and then nine days in Ruidoso. Room and board will be provided at both places and due to the last minute request, the actor would not have to be there for all 18 days of the rehearsals. There also may be a small stipend available to do it but that would have to be a conversation with Dr. Runnels. In short, there is flexibility in participating. One, it is an opportunity to perform on the Spencer stage, an acclaimed regional theater stage. Two, Wayland's theater productions are quality shows and are great learning experiences. (Runnels taught me most of what I know about theater). Three, it is a chance to network with people involved in the Spencer theater program as well as WBU theater's program (which has sent graduates on to other professional jobs throughout the region, etc). Four, it is chance to spend a free week with no expenses in Ruidoso. If you are interested, please let me know ASAP and I'll make introductions for you. I'm sure it would be an experience that would not disappoint. Reservations for "I Love You, You're Perfect, Now Change" can also be made via email (see link on the right). Do not miss this incredibly funny show, you will not stop laughing at this outrageous musical. "I Love You, You're Perfect, Now Change" opens June 4th!! Do you know how long you have until "I Love You, You're Perfect, Now Change" opens? Nine days...yes, NINE days! Don't miss this outrageously funny musical about love and relationships! The show opens June 4th at 8 PM, with shows following on June 5th at 8 PM, June 6th at 2 PM, and June 11th, 12th (8 PM), and 13th (2 PM). BOARD MEETING: There will be a Playhouse Board of Directors meeting Monday, May 24 at 6 p.m. As always, this is open for anyone to attend. I LOVE YOU, YOU'RE PERFECT, NOW CHANGE: Rehearsals are well underway. The cast to this funny, funny, funny musical is Erin Anderson, Summer Robinson, Sandy Goad, Josh Berner, Jay Patton and Ronnie Gray. It is co-directed by father/son team of Larry and Juston Harlin. This a funny, Broadway musical that explores love, dating and marriage. Each cast members plays multiple characters and each scene stands on its own as a vignette on the broader theme of love and relationships. It is recommended for mature audiences (some language and content). Make plans to attend this musical because I know you won't be disappointed. Call 393-0676 for reservations today! BACK LOT: Have you noticed the Playhouse's back lot has been cleared off. We still have more plans and a ways to go but this will greatly increase our parking potential. NEW PAINTING: Have you noticed the inside of the Playhouse's theater area. A GEO Group crew helped paint the walls backstage so it blends and forces more focus on the stage. Thanks GEO. SUMMER THEATER CAMP: Sign ups are taking place now for Summer Theater Camp and the show Seussical, directed by Sandy Goad and Ronnie Gray. If you know someone between 9-18 years old, have them sign up for this five week experience of stage and singing. We have slots for over 30 students. This is a great experience so don't miss it. See Sandy or Ronnie or myself or the www.communityplayersofhobbs.com about signing up. Shows are July 22, 23, 24 and 25. GOODBYE: Mary Jo Chadwick has moved back east after directing "Curious Savage" for us. Thank you Mary Jo for your contribution to our community. Steve Newman, who appeared in several productions in the Playhouse years ago such as "Zombies from Beyond," and then moved out of state has passed away. Contact Brad Jett for details. You can access the signup form for "Seussical" by clicking here. And don't forget to make your reservations for the incredibly funny musical "I Love You, You're Perfect, Now Change", June 4, 5, 6, & June 11, 12, 13 (8 PM, June 6th and 13th at 2 PM). You can also visit the website for the Lea County Council for the Arts, complete with a brochure for signup. The Curious Savage..."Doctor Emmett, who are these people!?" Special Thanks: Leigh Melton (hair); Mike & Casey Ravenelle (piano); Bozena Kaczan (painting); Joel Lawson, Abhishek Chettry, Michelle Tompkins-Marsh, and Tommy Charley (set); Steve and Candy Anderson, Ruby Kennon, and Cara Chadwick (props); Tamara Payton, Elaine Mcvay, and Chastity Walker (backstage). If we forgot to thank someone, please know that your help was greatly appreciated. Ash Baer (Miss Willie), 23, is engaged to David Lasater and is a full time student at New Mexico Junior College. Her recent stage credits include Christmas at Home and A Company of Wayward Saints, both of which were 2009 Community Players of Hobbs productions, and "Proof," which was a 2007 NMJC production. Samantha Collins (Florence) lives in Hobbs as a stay at home mom with her husband, Trey, and children, Ian, Chance, Faith, and Briana. In her spare time Samantha writes screenplays and hopes to make them into self-produced independent films. She also studies French, Gaelic, and American Sign Language, makes various clothing out of chainmail, and designs and sews Renaissance costumes. Samantha recently made her directing debut with A Company of Wayward Saints in 2009. Other show credits include assistant director of Arsenic and Old Lace and performing in The Nerd, The Mousetrap, and The Odd Couple (female version). Marissa Davis (Fairy May) is a sophomore at Hobbs High School where she is on the swim team and student council. Her stage credits include Christmas at Home, The Best Christmas Pageant Ever, Little Town of Christmas, The Wizard of Oz, and other school and church plays. Marissa lives in Hobbs with her parents and two brothers. Erin Gibbs (Lily Belle) works as a stay at home mom and cake decorator. Erin’s family consists of husband, Nathan, and kids, Chance, Ciaran, Emma, and Molly. Erin enjoys being the “soccer mom” and doing the Cinderella Pageants with her girls. Erin has been seen in three movies as well as an episode of Breaking Bad. Her stage credits include Arsenic and Old Lace, Dylan, Butterflies are Free, Blythe Spirit, and Murder by Natural Causes just to name a few. Sandy Goad (Mrs. Savage) is an art teacher at Sanger and is married to “Saint Bob”. Her family also includes 6 children, 9 grandchildren, and 1 great-grandchild and another on the way. Sandy has directed such shows as Christmas at Home and Annie, Jr. She has performed in many including Pump Boys & Dinettes, Last of the Red Hot Lovers, Arsenic and Old Lace, and An Evening of Culture. Juston Myrle Harlin (Jeffrey) recently returned home to Hobbs after several years working as an actor in southern California! Regional Credits: Yank! ; Ragtime; Guys and Dolls, Big River; The Stones; Me and My Girl; Beauty & the Beast; Tick, Tick...Boom! ; Das Barbecü Other Favorites: Batboy; The People Vs. Mona; Texas; The Fantasticks; Into the Woods; Children of Eden; Kiss Me Kate; Brownstone. Juston will make his directorial debut with I Love You, You’re Perfect, Now Change here at the Playhouse in June. BA Vocal Performance-Northern Arizona University; MFA Musical Theatre-San Diego State University. Kim Hill (Mrs. Paddy) is the owner of Kim’s Kakes here in Hobbs. Kim’s family consists of husband, Wally, kids, Jerrad, Holly, Stephanie, and Erienne, and grandkids, Gentry, Grady, Madison, and one on the way. You may recognize Kim from her role as different Extras in such movies as Wild Hogs, North Country, and Three Wise Guys. Her stage credits include Last of the Red Hot Lovers, Arsenic and Old Lace, The Odd Couple (female version), and Bay at the Moon. Brad Jett (Samuel) works as a pump technician for Don-Nan and leads a quiet life with four dogs, three cats, and his fiancé, Chastity. His stage credits include Shakespeare Through the Glass and A Company of Wayward Saints. Reece Payton (John Thomas). Reece is the son of Tamara and Rusty Payton. He helped with props for Steel Magnolias. William Raabe II (Hannibal) works as a therapist at Humphrey House and lives with wife, Lara. William has been involved in the theater for over 30 years serving as actor, technical crew, usher, and director. Statistically speaking, theater gets in your blood. Mandy Sayre (Dr. Emmett) is making her debut performance on the Community Players of Hobbs stage having performed in numerous shows at the Northside Baptist Church. Mandy is a 2nd grade teacher at Broadmoor, is married to husband, Chad, and has a daughter, Sadie Grace. Robert Schumacher (Titus) has lived in Hobbs with his wife, Jane, and daughter, Kinsey, since relocating from Pearl Harbor, Hawaii, in July 2007. A 16 year veteran of the U.S. Navy submarine force, he works at URENCO USA in the Electrical/I&C Maintenance Department. Robert’s Community Players of Hobbs credits include acting in A Company of Wayward Saints and Christmas at Home and working on the tech crew of Rabbit Hole, Annie, Jr., and Steel Magnolias. Mary Jo Chadwick (Director) made her acting debut at the age of seven as a rather tall “Grumpy” in Snow White and the Seven Dwarfs. She is now a retired school teacher from Mississippi where she taught English, theatre, and oral communications for twenty-nine years. She is the mother of one daughter, Cara, who attends college back in Mississippi. Since moving to Hobbs with her spouse, Randy, Mary has enjoyed working at The Western Heritage Museum Complex and Cowboy Hall of Fame and volunteering at the Playhouse, where this past October she played the role of M’Lynn in Steel Magnolias. Her pervious community theater directing, acting, and/or technical experience include: The Cotton Patch Gospel (Imagine Youth Productions); The Curious Savage, No Opera in the Op’ry House Tonight, Divorce Southern Style, Alaska or The Secret of Yonder Mountain (Jubilee Theatre Productions); Fiddler on the Roof (Hattiesburg Civic Light Opera); Cinderella (Just Over the Rainbow Little Theatre);The Mikado (Musical Theatre Summer Review); Sleeping Beauty, No No a Million Times No (Poplarville Little Theatre). Karen Widman (Assistant Director) is a homemaker and volunteer at Hobbs High School. She lives with her husband, Ed, and kids, Sean and Chelsea. Karen has been the stage manager for Annie, Jr. and stage manager/assistant director for Murder Room. She has performed in Christmas at Home, Rabbit Hole, and Lion in Winter. Erin Anderson (Stage Manager) has been in Hobbs for about two years now. Since moving to Hobbs from a suburb of Chicago, IL, Erin has stayed busy with her job as Curator of the Western Heritage Museum Complex and Lea County Cowboy Hall of Fame as well as acting and helping with the Community Player of Hobbs. Her performance credits from the Community Players of Hobbs are Pump Boys & Dinettes and A Company of Wayward Saints. Carey Lindner (Lights/Sound) last did lights for A Trip to Bountiful. Rebekah Wier (Costume/Props) is finishing up her time as a student at New Mexico Junior College. After graduating in May, Rebekah will be continuing on to Eastern New Mexico University where she will be studying Anthropology. This is the first show that Rebekah has been a part of with the Community Players of Hobbs. Kenneth Brown (Set Designer) a master of set design has created numerous sets for the playhouse and USW.